So I enlisted Matt to go on the Clean Program with me once more. 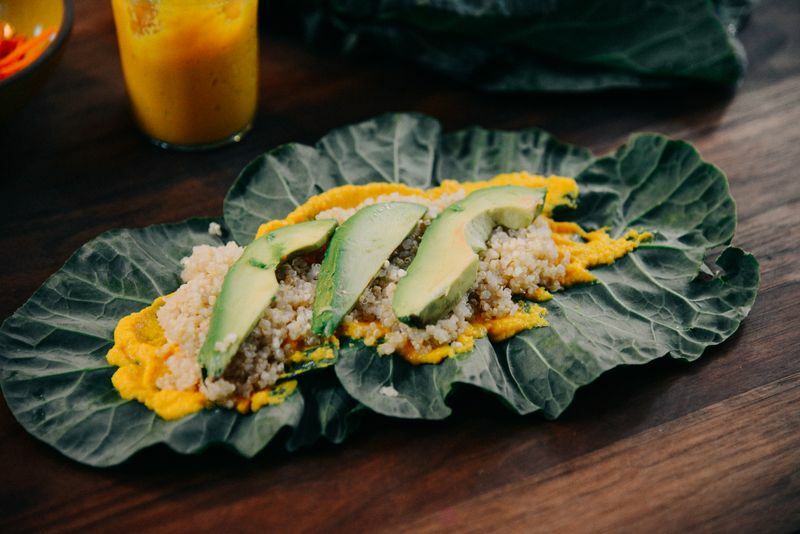 It’s a three-week cleanse that doesn’t leave you starving or overdosing on sugar like a juice cleanse would. There are a number of foods that are eliminated (wheat, dairy, sugar, and alcohol chief among them), but there are more than enough foods left to allow for some meals you actually want to eat. 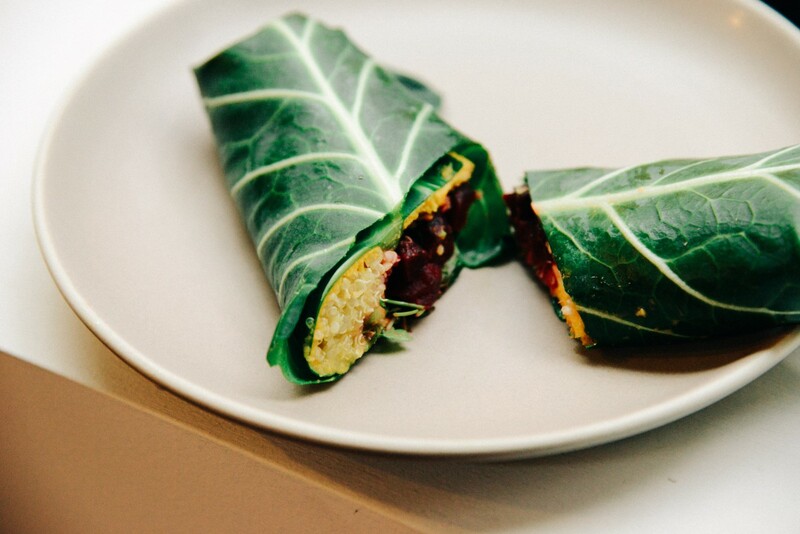 This quinoa collard wrap with miso-carrot spread has become one of our favorite lunch meals. 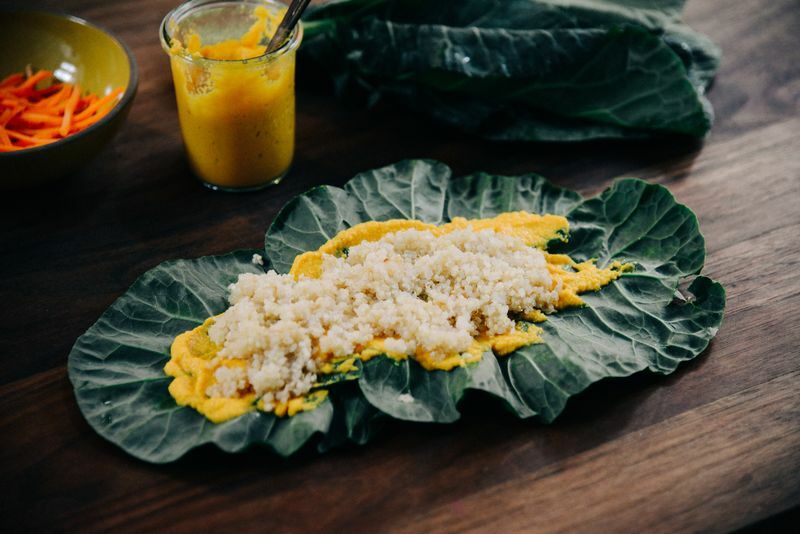 Inspired by the one made in Sara Forte’s Sprouted Kitchen cookbook, there is a tangy, gingery carrot-miso sauce that somehow enhances the flavor of everything else in there. This sauce would also be killer on a green salad or over some roasted vegetables and steamed jasmine rice. 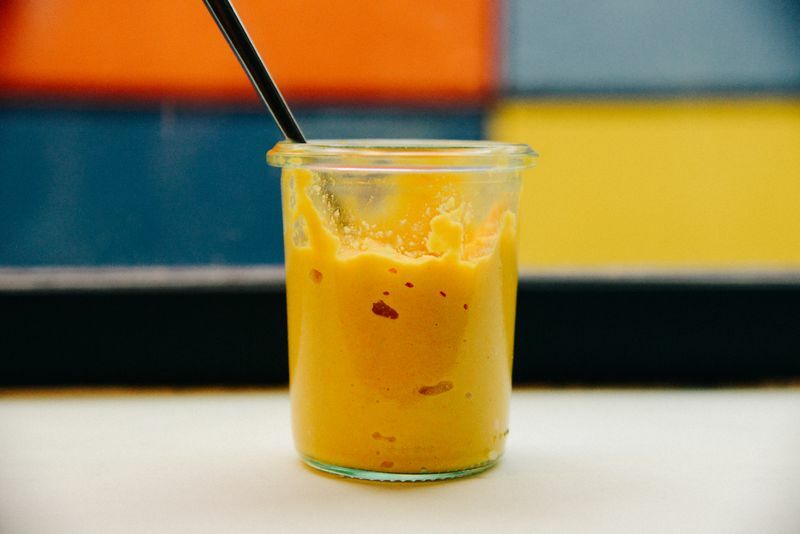 To make the spread, combine the carrots, ginger, shallot, miso, honey and vinegar and whip together in a blender or food processor until smooth. Drizzle in coconut nectar and oil. Set aside. 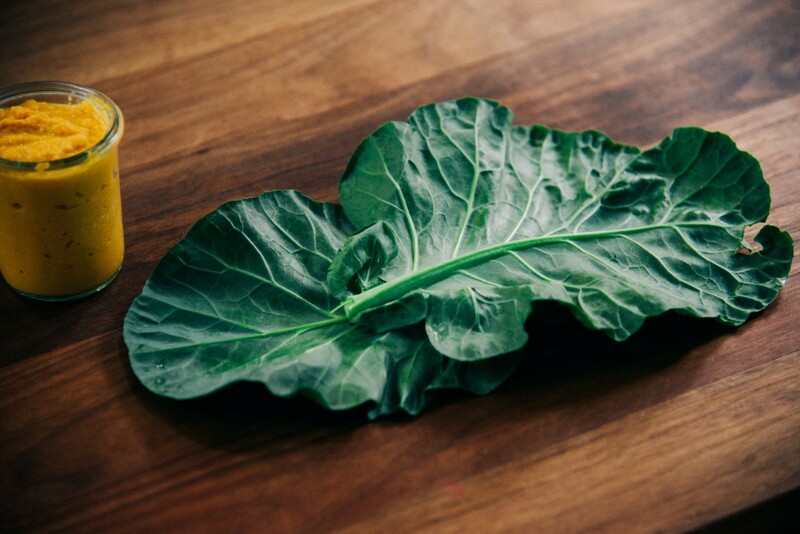 Cut off the stalks of the collard greens, rinse with warm water to allow to come to room temperature. Lay them on a dish towel and use a paring knife to shave down the stalk to make it easier to roll. In a bowl, stir together the quinoa and the tahini, adding a bit of lemon or lime juice. Arrange two of the collards, overlapping them end to end. 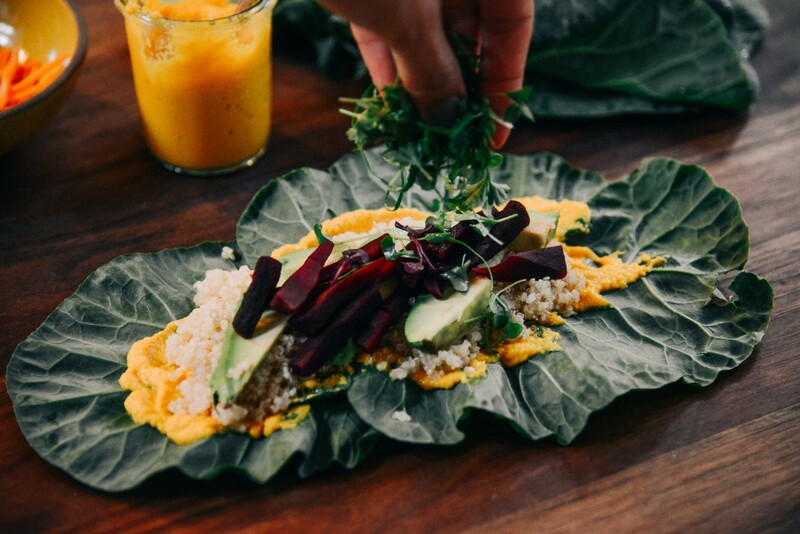 Spread a generous amount of miso-carrot spread down the middle, then layer a quarter each of the quinoa, beets, avo, and sprouts onto the leaves. 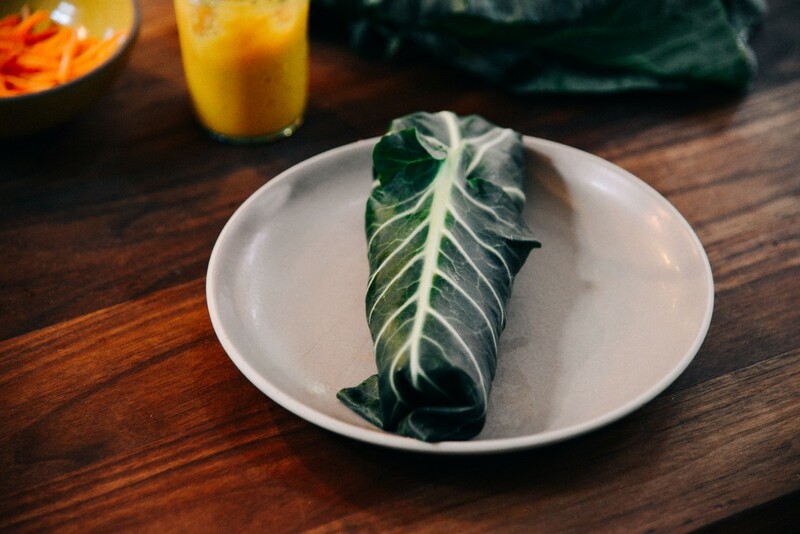 Fold over each end, tuck one side under, and roll like a burrito. 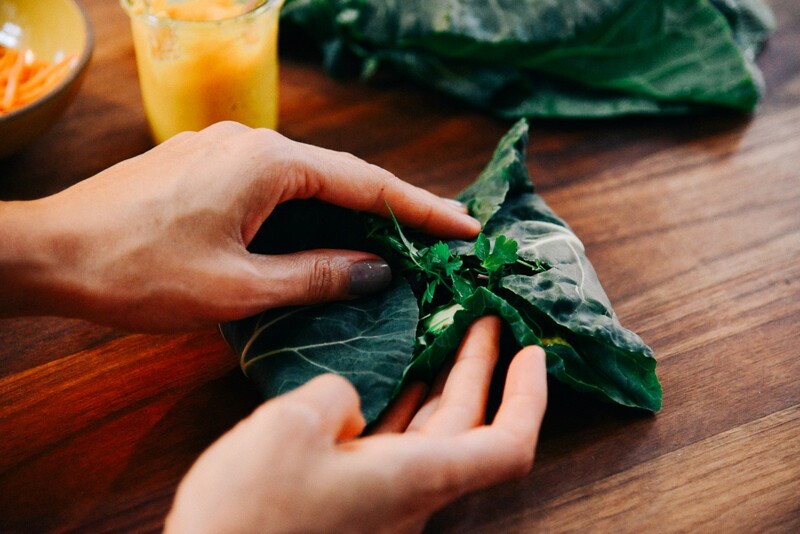 Serve immediately, or wrap in plastic wrap and store in the fridge for up to 2 days.